Science Fiction Encyclopedia described this as a "hard-edged" tale of the 24th-century conquest of Earth by an alien empire the humans had judged too stupid to pull off such a coup. Only a handful of humans escaped the effects of a mutated narcoleptic drug that put humanity into protracted hibernation. The battle to liberate Earth is fought by those few with the aid of a vengeful ghost called "Gremper" by the aliens. The action is fast and furious, while the genius general of the invading fleet goes slowly insane at the disruption of his well-laid plans. "A natural-born storyteller," said bestselling author Frank G. Slaughter. A classic reprint of a sci-fi masterpiece. 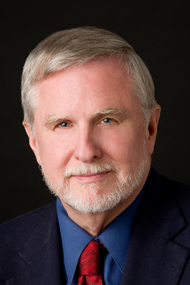 One-on-One with William R. Burkett, Jr.
Back in 1964 I picked up the July issue of Analog, a science fiction magazine that contained the first installment of a mesmerizing novel called Sleeping Planet. It was completely different from all those grandiose space operas I eagerly devoured between classes. Instead, the author of Sleeping Planet – a talented new writer named William R. Burkett, Jr. – told me a story of invaders from outer space opposed by everyday people just like you and me. 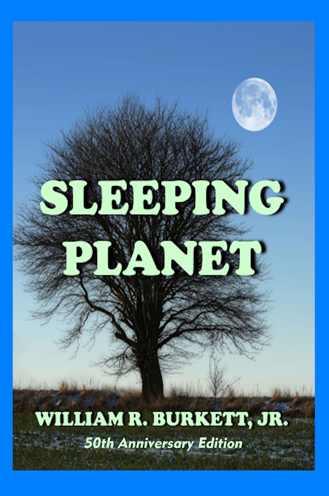 Analog readers voted the novel as their “Favorite Story,” and Sleeping Planet went on to be published in the U.S. and several other countries. It was a feat of storytelling that would land William R. Burkett, Jr. a listing in The Encyclopedia of Science Fiction. After college, when I reported for my first day’s work with the Sunday Magazine of The Florida Times-Union in Jacksonville, I was introduced around the shoebox-sized office by the editor. One of my coworkers was a gawky kid who wore a mustache to make himself look older than his 19 years. He also wore a wide-brimmed cowboy hat like some sidekick who’d left his pony just outside the door. He answered to the name Bill, but was very fussy about his byline, insisting that you get the middle initial and comma just right: William R. Burkett, Jr. Naw, it couldn’t be. But it was. Not a distinguished author in a tweed jacket with a pipe, but a kid, a colleague, hidden away in our little office. I quickly learned that Bill Burkett was an unstoppable raconteur who would lean back in his swivel chair, and launch into a story about duck-hunting or anecdotes about his close-knit family. The words flowed out of his mouth as easily as they did from his typewriter. Bill was particularly adept at imagery, always choosing just the right adjective without having to resort to Roget’s Thesaurus like the rest of the staff. He still clicks away at his computer (successor to his trusty Smith-Corona typewriter), turning out sci-fi sagas about everyday characters who face intergalactic odds, and short stories that have more to do with everyday life than outer space.